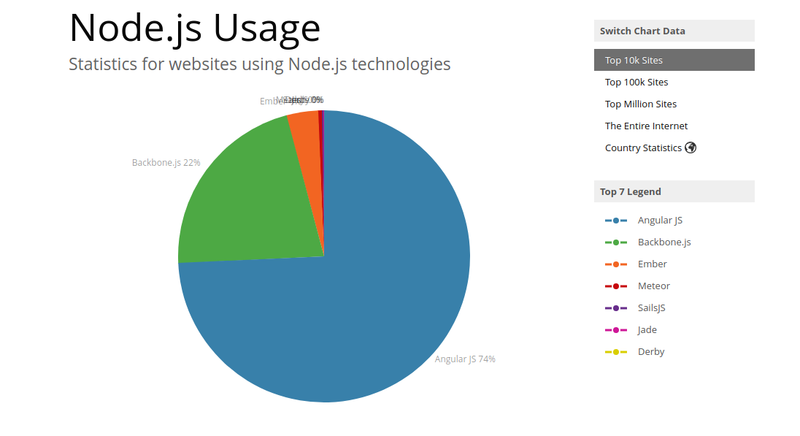 Considering Stats according to W3Techs, Node.js is employed in approx 0.4% of all the websites. Some of the popular webistes developed NodeJs includes Flickr.com, Dictionary.com, Thesaurus.com, and Healthline.com. Node JS Development enables to create real-time web apps at a faster pace. For instance; the time consumed can be compared as the amount of time required for creating a very modest blog in PHP. This makes it clear that NodeJS is a clear winner when it comes to creating multi-user real-time web applications for chat apps and gaming apps. The Data changes made to the server oblige directly on the client and the web page that illustrates this data automatically. Node.js meets all the requirements of the development process and contributes to a scalable and secure network application. 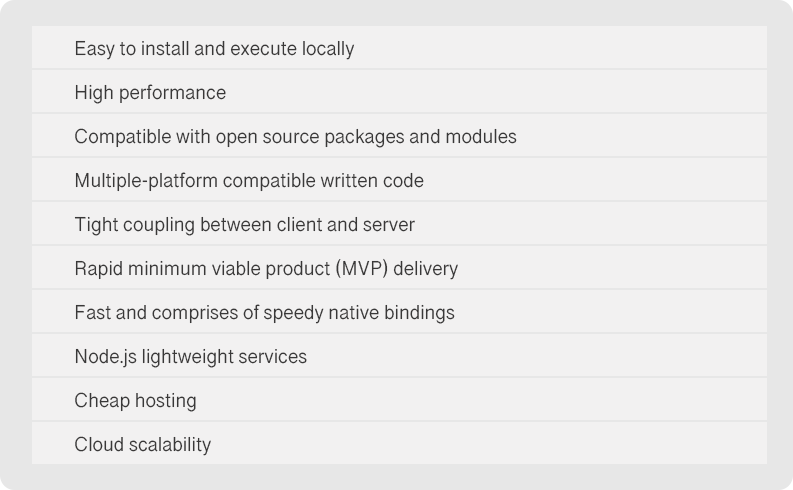 Node.js allows organizations to generate fast and robust network applications which is best to address parallel connections with greater performance. It does not make any compromise on the working part, however, web developers are required to be cautious when writing the codes and put on the best track. Furthermore, Node.js limits the issues related to the formation of independent threads and, prefers to use a single subprocess. In web app development, HTTP request and response are contemplated as the two different events. In actual, they are data streams and the function is used to the maximum with Node.js to build some of the best attributes, (like processing files during the loading time). The overall duration of the process is reduced when the data is presented in the transmission form. Well, the same can be executed at the time of inserting video or audio in live time. Due to the increasing demand for NodeJS by web developers for their Web App Development project, the hosting is undoubtedly gaining momentum. Moreover, the PaaS (Platform as a Service) service providers like Modulus and Heroku allows node deployments with authorization. Node JS Development supports developers to solve all the database inquiries such as CouchDB, MongoDB. Further, the Web developers do not need to accentuate the syntax variations while joining the Node.js and NoSQL databases. Node.js specialists with web applications in real time as the format of stored data JSON enables to perform without any restriction in data exchange and mismatches. Absolutely, the revolution brought by Node js development all over the world cannot be overlooked as the most popular option for several brands such as eBay, Walmart, Yahoo, etc. is undoubtedly: Node.js" , considered to be the boon for a developer. This critical technology stack plays an important role and greatly adopted by various brands and emerging enterprises. Get started to take advantage of the benefits of Node.js to avail secure and scalable network applications. We at Root Info Solutions - the team of expert NodeJS developer successfully delivers project ensuring maximum profit.